InSanity lurks Inside: Could a Jurassic World Makeover be coming to Islands of Adventure? 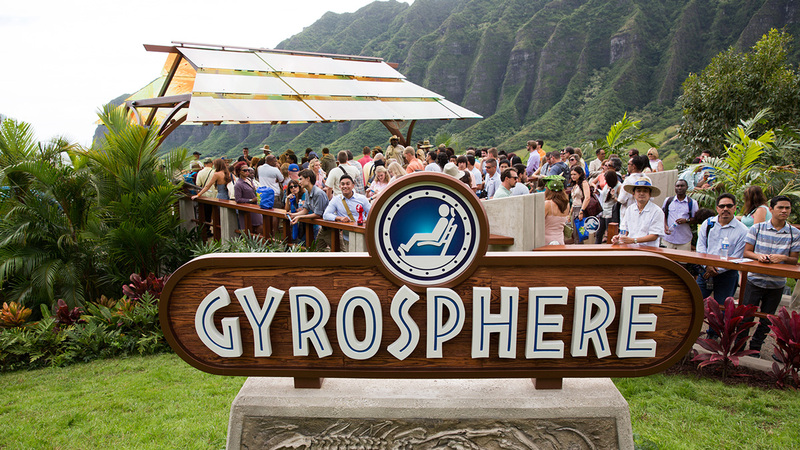 Could a Jurassic World Makeover be coming to Islands of Adventure? Could a 'Jurassic World' makeover being coming to Universal Orlando? Rumors have been flying lately about Universal Orlando finally getting a much needed update to their Jurassic Park area. Lately, these have been heating up and Comcast may have even let it slip! So we're here to poke deeper into these rumors and see what we can dig up.. pun intended! Ever since the first Jurassic World movie hit theaters, fans have been wondering and speculating if Universal Orlando will finally update the Jurassic Park area located in Islands of Adventure. While excellently themed, it's been needing an update for several years now. On January 24th during a conference call, Comcast made the 'accidental' comment about 'Jurassic World ATTRACTIONS' we're coming to the US Parks. ATTRACTIONS. Plural. More than one! A few days before this, a local Orlando news station touted that they found a new coaster coming to Universal's Islands of Adventure, in the Jurassic Park portion of the park. As you can easily see from the image, this new coaster would be situated right beside the Visitors Center area. This is the area which once housed the 'Triceratops Encounter' which was open sporadically until 2010. Construction is suspected to be in the 1-2 year range which would give us an opening date of 2020 or 2021. 2021 is also Disney World's 50th anniversary. So likely, Universal will aim for this expansion to be opening the same year. Currently, we have no information about which company might be building the coaster but likely suspects are Intamin, who has been building nearly everything for Universal lately. All this information follows with the fact people have reported construction walls going up in this area of the park. More reports that the 'Raptor Encounter' will be moving to a new location as well as some of the photo-op areas are planning to be relocated to other parts of the current pathways of the area. This leaves the questions of what the SECOND attraction may be? 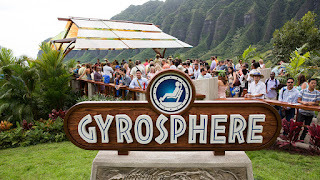 A Gyrosphere attraction is rumored to be the second new attraction going into the Jurassic Park area. Screamscape reports that they've had tips in regards to this, which includes newest high-tech VR with a hybrid of motion simulator. They also included in this some form of effects often seen in 4D theater attractions (scent pots, waters and air blasts, etc.). Although, to be bluntly honest, I'm not sure exactly WHERE They are going to fit this level of theater into the current set-up of the Jurassic Park area. With the new coaster going into the obviously 'open' area, that leaves a limited amount of space since Kong took over a portion of the open area right outside of Jurassic Park. The area I'd consider to be suspect would currently be to the left of the visitors center, where 'The Watering Hole' bar is currently located. Although, at the same time, my inner nerd it would love it if they were to retrofit the Visitors Center into some type of attraction. In the end, we're going to have to wait and see where and how Universal is going to squish this in!